We are back to Paleo Monday today and I have the perfect game day appetizer or even topping for a salad for lunch of dinner. 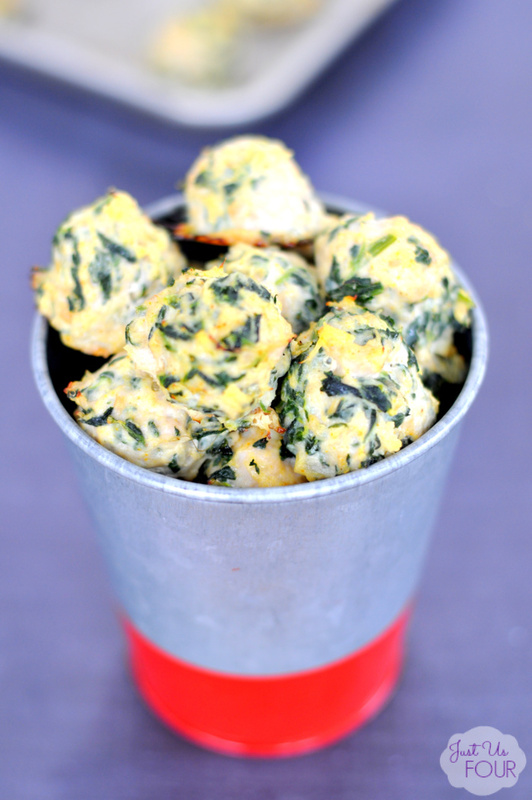 Paleo chicken spinach meatballs make great tailgating food because you can just pop them in your mouth; no utensils needed. I love them on top of my salads or spaghetti squash as part of a meal too. The best part is how easy they are to make! These meatballs only take 5 ingredients to make and are ready in less than 30 minutes. I make a batch on Sunday afternoons and use them all throughout the week. 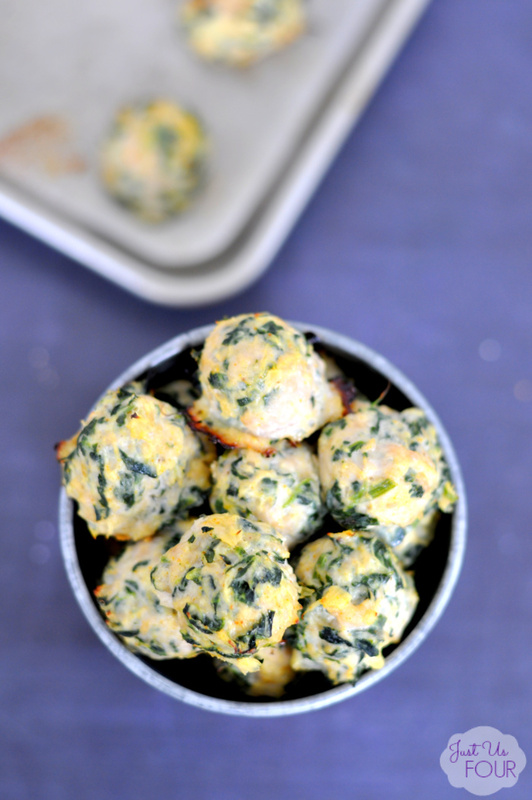 If you are doing Whole30 these are perfect! They are grain free, dairy free and gluten free. 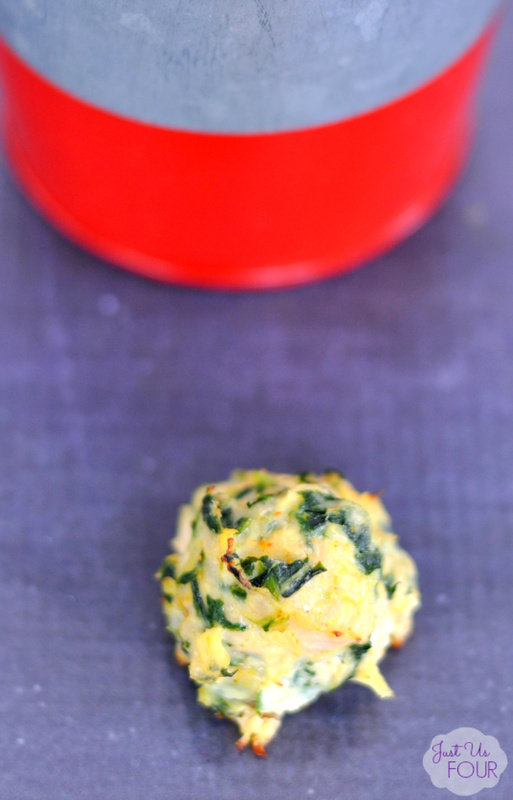 Oh, and if you have any egg allergies, you finally have a meatball that has no eggs at all! 1) Preheat oven to 375 degrees. Line a large baking sheet with nonstick foil. 2) Press pineapple in sieve to remove excess juice. Place in large bowl. Add ground chicken, spinach, curry powder, salt and pepper. Mix well. 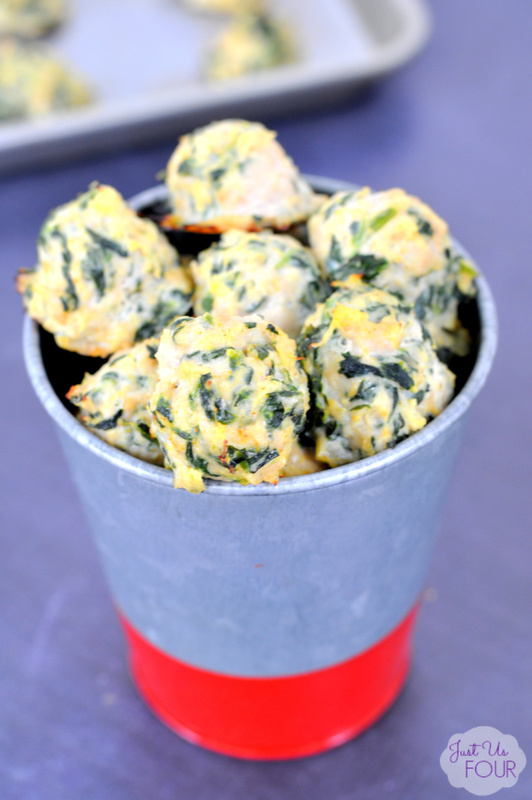 3) Roll meat mixture into 1 1/2 Tbsp sized balls. Place on prepared baking sheet. Bake in preheated oven for 12-15 minutes or until fully cooked. I told you these were ridiculously easy to make! I use a cookie dough scooper to scoop my meat mixture and it works great. You can always eye ball it too. What are some of your favorite meatball flavors? Have you started bringing out the game day grub yet? Preheat oven to 375 degrees. Line a large baking sheet with nonstick foil. Press pineapple in sieve to remove excess juice. Place in large bowl. Add ground chicken, spinach, curry powder, salt and pepper. Mix well. Roll meat mixture into 1 1/2 Tbsp sized balls. Place on prepared baking sheet. Bake in preheated oven for 12-15 minutes or until fully cooked. A cookie dough scooper works great for this! 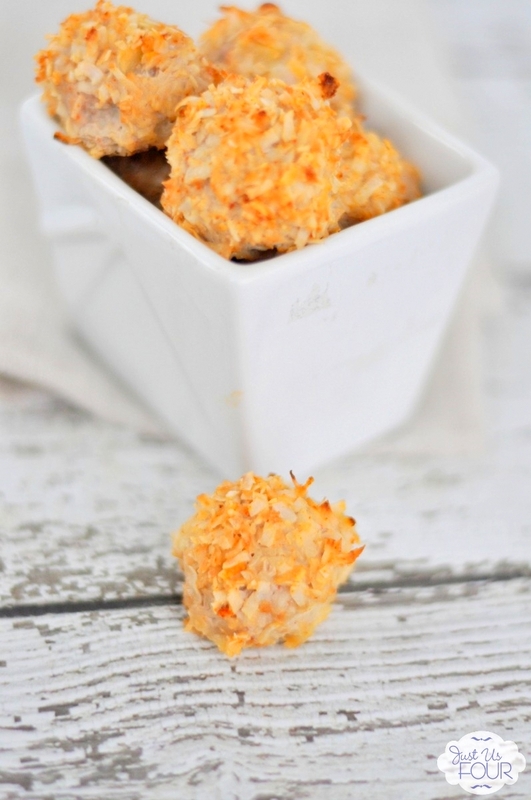 My other absolute favorite “ball” recipe are these Paleo Balls of Fire! Once you make them once, you will want them every single day! Curry + Pineapple?! I never would have thought! What an interesting mix! I’ll definitely be trying these. Thanks for the recipe. Pinned!